Cannabis will be sold in publicly run stores by the government-run Société Québécoise du Cannabis (SQDC) starting October 17, 2018. SQDC officials have said that online ordering will be available on Oct. 17, but that web site has not yet launched. Legal Age in Quebec: 18 now. Maybe 21 later. Each province sets its own legal age, as with alcohol. In Quebec, the minimum age for purchase and possession is currently set at 18. But that may change. 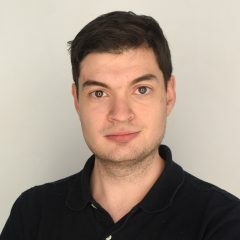 On Oct. 1, the right-wing Coalition Avenir Quebec won the provincial election, and they have proposed increasing the age to purchase cannabis to 21. That probably won’t happen immediately, but it could happen in the coming months. What Can I Buy in Quebec? Publicly run stores will be allowed to sell a range of dried cannabis (aka flower or buds), pre-rolls, cannabis oils, capsules, and seeds for home growing. The provinces have supply deals with five licensed producers of cannabis, including the Quebec-based HEXO. Edibles are not yet allowed, but are expected to enter the market nationwide in October 2019. Will Quebec Stores Be Open on Oct. 17? Yes. 10 to 12 cannabis retail store stores will be open on legalization date, with a total of 20 opening up by November. The SQDC may also offer online ordering starting Oct. 17. 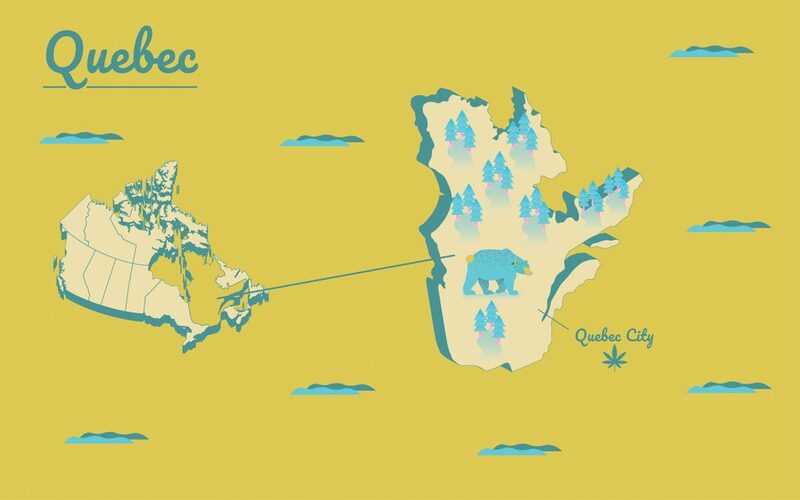 We’ve got an entire page devoted to bringing you up-to-the-minute information about the location and status of recreational cannabis stores: Recreational Cannabis Stores in Quebec. Online sales of cannabis products will be undertaken by the Société Québécoise du Cannabis. Remember, minors are prohibiting from purchasing. It’s unclear whether online sales will start immediately on Oct. 17; it may take a while. Those 18 and older can possess up to one ounce (30 grams) of dried cannabis in public. Cannabis transported in a motor vehicle must not be consumed. Rule of thumb: Keep your packages unopened and stored in the trunk. No. In Quebec, the government has prohibited minors from being in their legal recreational cannabis stores. Cannabis use will be allowed in public places but won’t be allowed in motor vehicles. Possession of cannabis will not be permitted on the premises or buildings providing preschool, elementary, secondary and college-level school instruction, as well as the grounds and facilities of childcare and day care centres. Consumption will not be permitted on the grounds of health and social-services institutions, on the grounds of CEGEPS schools and universities, on bicycle paths, as in bus shelters. While the federal Cannabis Act allows adults to cultivate up to four plants per residence, the province of Quebec is prohibiting home cultivation within its boundaries. Private possession of more than 150 grams is not permitted. 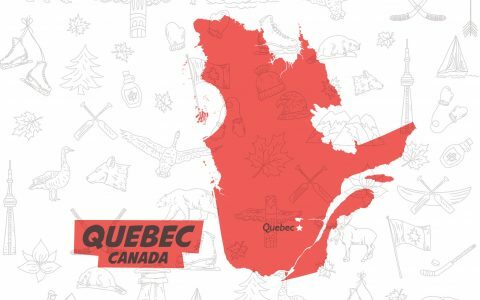 Like most other provinces, the province of Quebec will act as middleman through the Société Québécoise du Cannabis. The organization will have retail stores across Quebec and will also serve as the online portal for ordering recreational cannabis for delivery. The Quebec government passed the Cannabis Regulation Act, which sets out the parameters of lawful sale, purchase and consumption of cannabis in the province. There are no caps on the number of stores that can be opened in Quebec, although we can’t help but think the province is capping itself with its plan to open only 20 retail store in the near-term.